Taxes are no joke, so getting them done right should be your priority at this time of the year. While all first-time homeowners understand the importance of filing the right way, there can still be some confusion resulting in tax mistakes. Here are four of the most common property tax mistakes that we see every year and how you can avoid the IRS knocking at your door. Your property taxes have already been paid and it’s now time to reap the rewards with a deduction during the main tax season. However, in the excitement of potential savings, make sure that you are entering the correct tax year on your federal forms! When deducting property taxes, you need to take your deduction in the year that the taxes were actually paid. This can be confusing because many taxing authorities bill property taxes a year behind. Our advice, seek out a property tax consultant to help clear up any information before you file. Many lenders will escrow funds to pay property taxes. 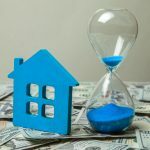 We can’t tell you how many first-time homeowners we’ve seen that have deducted the amount escrowed and wound up in a revenue bind. Prior to tax season, you should have received a Form 1098 from your lender. This will have the actual amount of property taxes paid that you can deduct on your federal forms. Remember, taxpayers who have purchased real estate after December 2017 are allowed to deduct mortgage interest on their taxes but are limited to $750,000. Prior years have allowed deductions of up to $1 million, and recent tax changes have resulted in some confusion among current first-time homeowners. Understanding what is actually deductible can be the key to staying on the right side of the IRS when it comes to your real estate. Don’t take the chance on being audited, find out what you can legally deduct with the help of a property tax professional. While this one falls under the first-time seller category, it’s still important. If you sold your home within the last year, report your capital gains that go above excluded amounts. Typically, taxpayers can exclude $250,000 from a single person’s income or $500,000 if filing jointly. Need Help Getting Your Property Tax Information In Order? Get In Touch With The Hegwood Group! Property taxes can be confusing when you have to combine the information on your statements with Federal forms. If you are a first-time homeowner that needs help understanding your property taxes and potential deductions, The Hegwood Group can help. Contact us to schedule a consultation and find out where you could be saving this tax season!